I'm not running about in dungarees in this awful weather... these were taken when I was in lisbon last week. we stayed about 20 minutes away from the beach so on our second day we jumped in the car and went off to explore the coastline. now the beach was b-eautiful but not ideal for gentle swimming due to the huge waves that day, I nealry lost my bikini (and my dignity more than once) when we were out in the sea attempting to jump the bigger waves.. and when I say attempting we got flattened by quite a few of them aha! 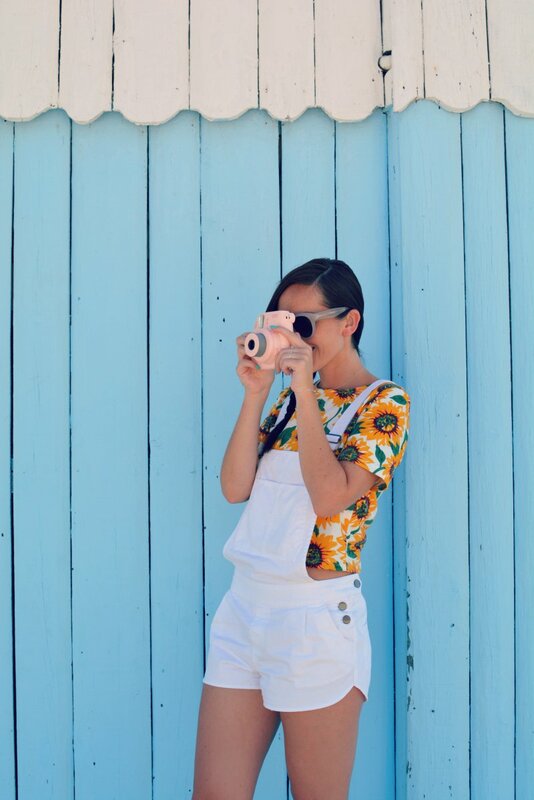 ..before we took on mother nature we went for lunch and a stroll around the cute little beachfront cafes with my trusty instax camera! 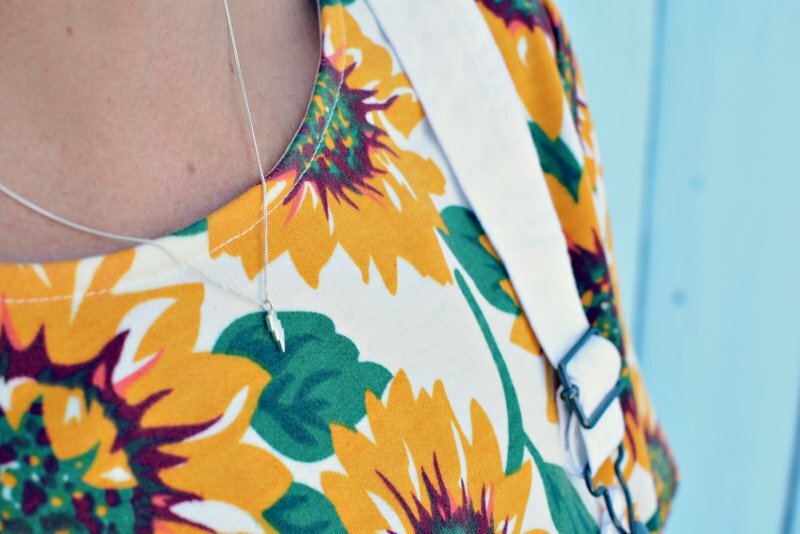 I wore some white dungarees and one of my favourite sunflower tops as I knew it would be the last time I could get away with summer clothing! as I write this post it's been raining here for the last 24hrs.. so this is definitely going to be the last of my summer outfit posts! Such a cute outfit! This makes me miss the sun so much!! This is such an adorable pairing! I love it so much. 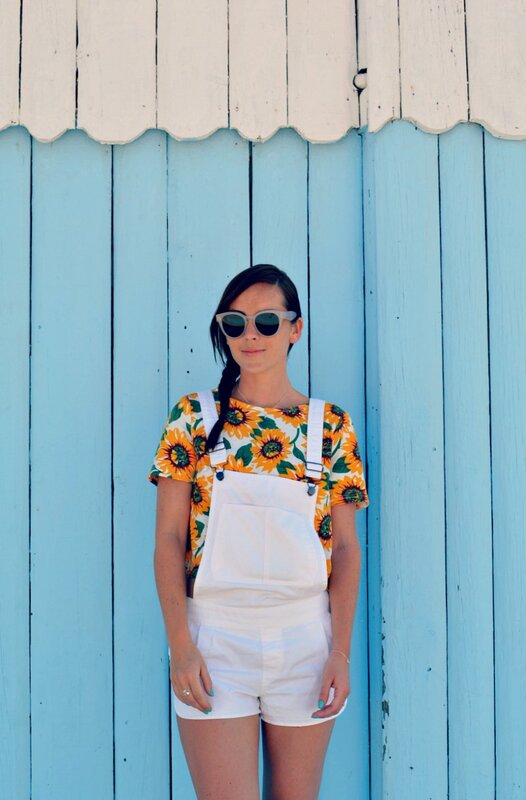 This is making me want to go on holiday, you look so cheery! Caroline! You've got me dreaming of the summer again. You look incredible gurl!